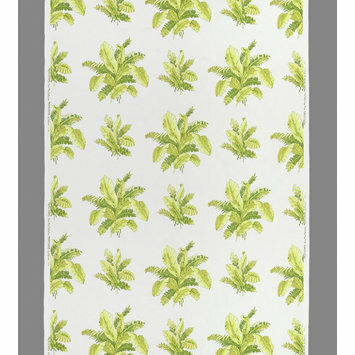 Given by Warner and Sons Ltd. 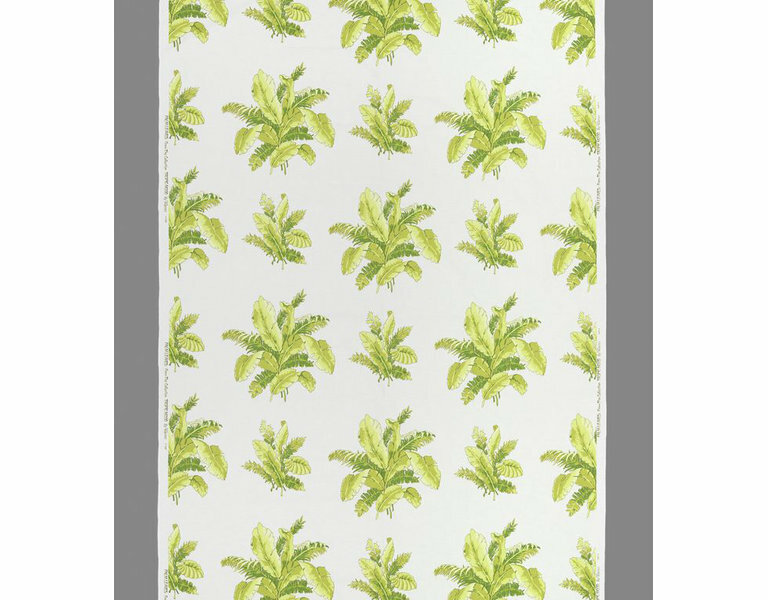 Furnishing fabric of rotary screen-printed cotton (6 screens) with a pattern of a well-spaced foliate spray including palm leaves and various ferns in greens on white. 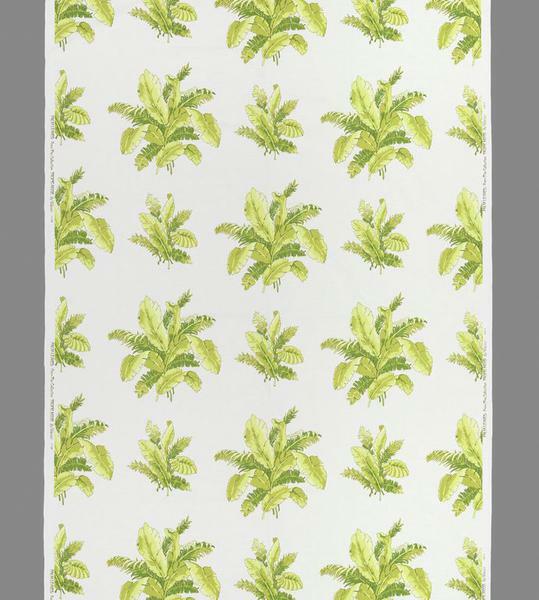 Furnishing fabric 'Palm Leaves' of screen-printed cotton, from the 'Tropic Mood' Collection, re-made by Sue Palmer, Warner & Sons Ltd., England, 1976. Originally designed by D. Whittaker in 1938. Re-painted and extensively altered by Sue Palmer in 1976.